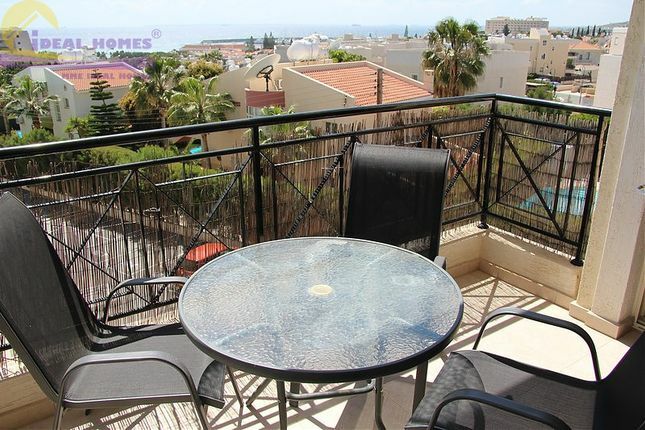 2 bedroom apartment is located in Limassol, just 250 meters from the shore of the Mediterranean Sea, on the first line. Complex with a large swimming pool with relaxation area, some changing rooms, showers and sun loungers, a tennis court and individual car parking. We offer fully equipped apartments with an area of 65 square meters, free Wi Fi and air conditioners in each room, large balconies, overlooking the sea with cozy placed summer chairs and a table. The apartments are situated in a minute walk from the bus stop and in 5 minutes walk from the supermarket. In 500 meters from the apartments the 5-star hotel St. Raphael is located in the vicinity of Marina, a yacht center, water sports centers. The apartments are in excellent conditions, fully furnished by the furniture from the world manufacturers (Italy, Spain, France). The apartments are equipped with modern appliances Bosch, Mille, Panasonic, as well as everything needed for a comfortable stay: Bed linen, set of towels, kitchenware, cleaning supplies, a baby cot and a high chair for a baby.